There are no shortage of “beasts” your business needs to tame in order to thrive in the marketplace. Some might read that and think of scaling to meet the needs of a growing client base or managing difficult employees, but cash flow can be one of the biggest monetary monsters you can encounter as a business owner. This far-to-often overlooked financial factor can be contained as easily as it can go out of control. Take a look at these four simple, yet sound, principles for taming cash flow in order to make it your business’ best friend rather than an arch enemy. Let’s discuss how to keep the cash coming in rather than rolling out. This might seem like a simple psychological trick, but it is an easy way to tame the cash flow beast. Adding incentives for clients who consistently pay on time (or, even better, early) and/or having consequences for clients who are tardy with the amount due will help you keep your cash flow steady and on time. Another way to ensure cash flow is to offer incentives to clients who decide to pay in full rather than installment payments. You can rest assured you get all the cash you need with only a minor deduction of a discount, or whatever incentive you choose. A small discount now is better than having to pay for debt collection later to support cash flow. It’s your business, livelihood, and financial future. So, why wouldn’t you want to be as aware of and up-to-date with all of your cash flow details? Analyzing your monthly cash flow and keeping a more frequent check on accounts receivable will help you stay on top of delinquent payments from clients and reel in any out-of-control outgoing cash on your part. Knowledge is truly power, as it can be easy to overlook cash flow issues. Awareness equals accountability for you and for your accounts receivable. Being keyed into your cash flow is the best way to continue saving money instead of burning up revenue. Utilizing credit cards in the right way is another simple way to tame your cash flow. Not only do credit cards provide you more time to make payments as it can take 1-2 months for money to be deducted from your company account, but you can increase your credit score over time to gain access to even more benefits from your credit cards. The number one thing to remember for this tip to be successful is that you must always pay the balance in full and on time to avoid even more cash out with extra interest fees or penalties. Taxes are, unfortunately, unavoidable. You have to factor them in when analyzing cash flow. If you are not taking the cost of taxes into consideration, then you are not properly projecting your cash flow and will be doing yourself a disservice. Automatically set aside the taxes that you will need to pay out and don’t even factor this money into anything you could utilize as cash out for your business. Try to even save extra just to have a cash buffer. In tough times, a little buffer can go a long way. You can also check into any tax discounts and creditsthat could be applicable to your business, because who doesn’t like a little help from time to time? Stay educated on business taxation to continue to tame cash flow. Keeping these cash flow tips and tricks in mind will help your business position itself for the most potential profit and the least unnecessary loss. There’s a lot more of these principles to be taught and we can help you learn more about how to optimize your revenue today! Call me directly at 888-780-1333 or email me at david.wiener@cashflowstrategies.us for more information. If your debt collection firm isn’t using analytics to predict consumer behavior you’re at risk of falling behind. It’s no longer surprising that digital technology has disrupted every industry, including debt collection. From new data-driven software to internet security and workflow automation, tomorrow’s debt collection firms will look nothing like the local Mom and Pop agencies still mired in workflows straight out of the 1990s. This post looks at how tech is impacting the debt collection industry. Browser-based platforms and multichannel collections processes are enabling professional firms to contact debtors where they live — online. Increasing pressure for CFOs in every sector to improve their bottom line – including accounts receivable. A desire by most companies to reduce the amount they spend on debt collection, which is the impetus both for outsourcing the process and for debt recovery agencies to adopt new technology to cut costs. Consumer trends that show us fairly addicted to cell phone technology and the internet. Increasing regulatory requirements at the local, state and federal levels have created a need for software that automates the compliance process, which protects both the debt collection firm and their client. The worldwide proliferation of malware threatening client data in transit and at rest. The necessity of improving customer relationships even during debt collection. The rise of browser-based platforms focused on omni-channel collection efforts that include debt collection by traditional means (letters and phone calls), and now, if opted in, email, as well as easy-to-use online portals for debt repayment. This allows a consistency of communication to consumers, a greater opportunity for automation, as well as customer personalization that allows debt collection agencies to reach consumers in their preferred channel and with preferred payment options. The introduction of sophisticated data analytics tools that allow debt collection firms to closely analyze consumer behavior and the market trends driving that behavior. These analytics can help debt collection firms cull out consumers that will be more likely to pay all or a portion of their debt. More stringent data security protocols and procedures to help keep consumer data safe from nefarious attacks. Debt collection agencies must continue to embrace technology to stay competitive while leveraging data analytics to improve their efficiencies, stay compliant with applicable law, and protect critical client data. To find out more about how TSI’s technology can impact your accounts receivable, contact me directly at david.wiener@cashflowstrategies.us or call me at 888-780-1333. There are many things that can cause a busy medical or dental practice to be less profitable that it could be. Meet Dr. Bob and how he found the answer to higher profits and better cash flow for his practice. Watch this funny video – do you feel like this sometimes! There are many plugins that can be used on your website, but not all are really easy to install. quickly integrate them to earn you various sources of revenue. product boxes , as well as widgets at your site’s sidebar. Adiro is a service that displays links in the article text.With this , the website owner can earn certain amount. that use banners to advertise. to care for and adjust later. With just a few clicks, you can provide individual items on the entire website with an affiliate link. It’s work is very reliable and you have a few customization options. The plugin, Auto Affiliate Links, is free. Google AdSense is still one of the most popular sources of revenue among bloggers and website operators. Video courses and seminars are increasingly gaining ground everywhere. A large provider in this area is Udemy , where you will find countless English-language courses. For example, on programming, online business, app development, affiliate marketing and much more. With the paid plugin Online Learning Courses, you can show Udemy courses very stylish and earn money as an affiliate. This plug-in is used to integrate price comparisons into your website. Are local buyers even aware that your business exists? Active local buyers must know that your company is there to meet their needs. Your website must attract the right type of clients, and position you as the obvious choice. 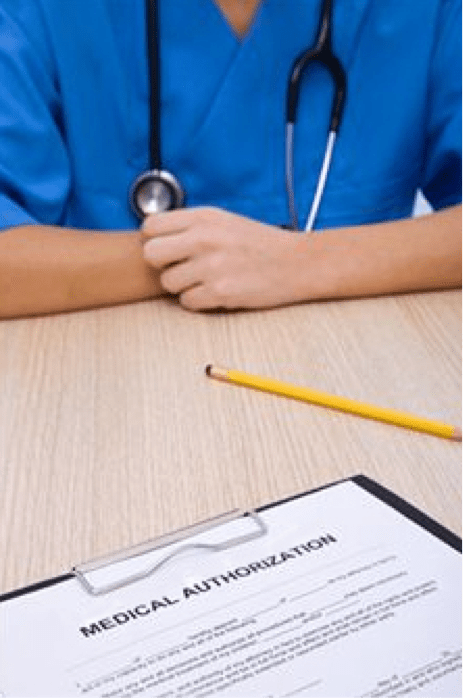 Is Your Collection Agency Putting Your Medical or Dental Practice at Risk? The collection agency industry is highly regulated and there are numerous laws on the books designed to protect consumers, which make it more difficult to collect. While it costs agencies more to be legally compliant and hinders their collections efforts, not complying can lead to class action suits and sanctions against the agency (and possibly their clients) that are more costly in the long run if not fatal to the agency’s very existence. Lets examine how this affects your practice. Most Practice Administrators are familiar with the Fair Debt Collection Practices Act (FDCPA) of 1978 which creates a set of guidelines that collection agencies are required to follow as well as penalties for not adhering to the Act. Additionally, practices are familiar with HIPAA laws and the security requirements of Protected Health Information (PHI). But Do You Know About These Laws? Despite having been a law since 1991, most practices are not familiar with the Telephone Consumer Protection Act (TCPA) which also impacts collections. Among other provisions of the TCPA (such as calls can only be made between 8am and 9pm), the TCPA prohibits the use of automated dialers to cell phones or leaving automated messages on cell phones. While auto-dialers represent a technological efficiency that allows a collection agency to make more frequent calls and collect more money, their use is not compliant with the TCPA when the phone number the patient has provided the practice with is a cell phone. In order to be TCPA compliant when calling a cell phone, it must be manually dialed. Even if a live collector will be connected with the consumer upon pick up, a cell phone can not be dialed using a computer. A recent data analysis by Transworld Systems, a large national collection agency specializing in medical collections, revealed that 60% of the phone numbers that their medical practice clients are obtaining from patients are cell phones. In order to avoid fines of $1500 per incident and class action suits, Transworld Systems has enforced strict policies of identifying and separating land line numbers from cell phone numbers. Additional research is conducted to see if the patient also has a land line which can be put on an auto-dialer to obtain better contact rates. What does all this mean for your practice? Today with the ever-changing federal and state regulations, you need to ask more questions of your collections vendor to find out if they are compliant with all laws. Ensure your practice cannot be named as a co-defendant in a potential class action suit should your agency be accused of being non-compliant. It is important to have a Hold Harmless Agreement in your collection agency contract where the agency agrees to hold your practice free from responsibility for any liability or damage that might arise out of their collection activities. Ask questions first before you have to answer for shortcuts or missteps later that could result in hefty fines for lack of compliance. It is paramount to ensure your company of choice is an expert in their field who stays abreast of, and quickly adapts to, the seemingly endless stream of regulations designed to protect consumers rights, often at the expense of their creditors. 1. Is your company compliant with TCPA, HIPAA and familiar with state laws regarding collections? This is not a yes/no question, they should be able to provide additional information including how often their collectors are re-tested for compliance and how their performance is monitored for compliance. 2. Does your company perform background checks on collectors in required states? 3. How are cell-phone calls handled? If they dont maintain a separate policy for handling cell phone calls, that should be a red flag to you to find another vendor. 4. Do you know what PHI is and what steps do you take to ensure its security during storage as well as communication with our practice?Ask how they receive data from their clients (do they accept secure electronic encrypted data or do they expect you to fax or mail patient files which are more easily compromised?) Do they provide you with a secure website to view collections status and if not, do they at least have the ability to encrypt emails when attaching a list of status updates which include PHI. 5. Is your company licensed to collect in all states? Even if your patients are primarily local to your office, sometimes they move out of state and your agency will have to be compliant with the laws that govern the patients new residence. 6. Is your company bonded and insured? Ask for copies of the documents proving bonding and insurance to make sure your money wont disappear if your agency goes out of business, either as a result of poor performance or as a result of a fatal class action suit. Call me at 888-780-1333 for a 100% compliant option that will keep you and your practice safe during these times of changing and ever-increasing regulations. Debt collection is a hot topic in healthcare revenue cycle circles. That’s because hospitals are facing higher costs, declining reimbursement, along with high-deductible insurance policies and patients that simply cannot afford to pay. This article looks at how debt collection best practices could improve the revenue cycle in healthcare. What are the issues affecting debt in healthcare? Medical billing serves at the core of healthcare revenue cycle. But Rev Cycle Intelligence points out the elephant in the room: Medical billing is often riddled with errors. Simple mistakes in the patient billing record are a challenge in the revenue cycle. Collecting patient information at the front desk lays the reimbursement framework that every revenue cycle is built upon. When you cull out simple human mistakes, providers are still left with the complexities inherent in billing practices that are unique to every payer. That alone creates glitches in clinical cash flow when reimbursements are submitted and rejected by the payer. Another problem with medical billing is tied to the healthcare paradigm itself. It is a patchwork of disparate providers – even within a single health system. If the steps to getting paid hinge upon a previous interaction, but documentation are peppered with missing pieces, the likelihood of that provider being reimbursed by a payer drops with every missed checkbox. A frequent issue that occurs well before the bill is generated is the issue of collecting a patient’s co-pay. Even when the co-pay is $20, the medical practitioner at the front desk may fail to collect it. For clinical administrators, it can be difficult to ask for payment from a sick patient. Now imagine the struggles when a patient has a $2,000 deductible. But failing to collect this revenue up front does nothing to alleviate patient responsibility for their bill. In fact, it almost certainly guarantees the need for debt collection later. Rev Cycle Intelligence states that 90% of the 12.7 million Americans participating in 2016’s open enrollment had high deductible insurance. InsideARM has been waving a red flag around this issue, citing statistics that say, “The percentage of consumers not paying their total hospital bills will increase to 95 percent by 2020.” Even worse news for hospital revenue cycle, the volume of patients who are only paying a part of their overall hospital bill has declined from around 90 percent in 2015 to 77 percent in 2016. As bad debt rises, healthcare providers are turning to debt collection agencies to help save their revenue cycle. TSI specializes in debt collection in the healthcare space. With over 45+ years of healthcare collection experience, we use an empathetic approach to collections to protect the patient relationships you’ve worked hard to cultivate. We understand the delicacy inherent in keeping patient satisfaction scores high while still collecting on an unpaid medical debt. That’s why we’ve invested in technology that can help us collect on all bad debt in ways that acknowledge and respond to patient payment preferences across multiple digital venues as well as through more traditional formats. In addition, our proprietary data analytics platform, CollectX boosts your results by identifying the most liquid accounts and ensuring they receive the appropriate collections activity. Since implementation of CollectX, our clients have seen on average a 22% lift to their liquidation rates. Maintain your patient relationships, while improving your revenue cycle, with TSI. To learn more about how to optimize your revenue, contact me today at 888-780-1333 or at david.wiener@cashflowstrategies.us.